Sashiko Embroidery developed out of necessity but has developed into a beautiful art form. Sashiko can be used with Visible mending, hand quilting, or as beautiful embellishment to many home decor projects. This is a beginner class for those ages 12 and up. 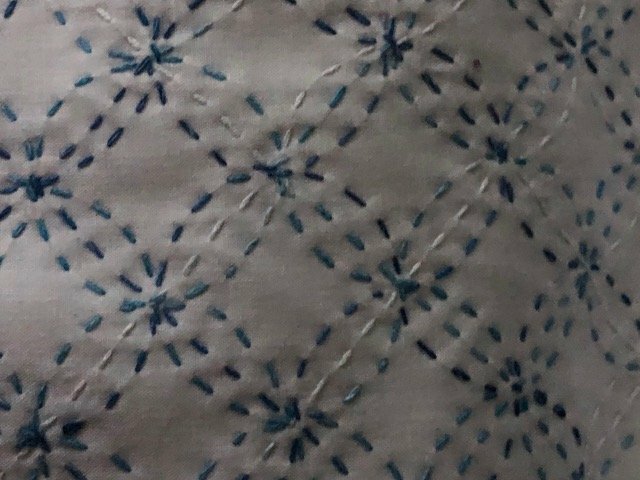 There is a class minimum of 6 students, so grab a friend and enjoy an evening learning the relaxing and beautiful art of Sashiko embroidery. Time: 6-8pm This class will begin promptly at 6pm! *If we do not meet the minimum number of students, this class will be cancelled 2 days in advance and class fee will be refunded.